I hope that these will become available soon. I'm close to opening Coopersville, it's an Edwardian community and there are only a few items on the market that are in theme. I've managed to find some freebies but they are more Steampunk or Victorian, not specifically Edwardian. Clothing Creators... please, please? I would be so very appreciative and I'm certain you will sell a lot. Oh Thank you Chris! That would be wonderful, and the hair too. I haven't found any Gibson Girl hair styles on the market yet either. 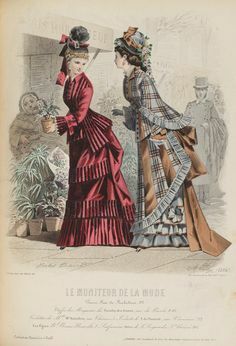 Pinterest is a great source for historical clothing/hairstyles and usually has very clear pics. Also, I actually watched the entire series of Downton Abbey because it's set in the Edwardian Era for the most part, it's a great reference for all styles of this period. 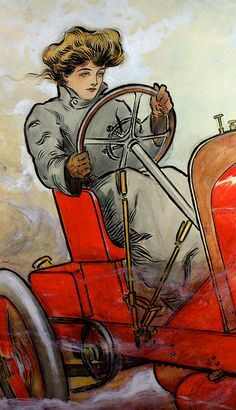 On a side note, the Suffragette movement reached its pinnacle during the Edwardian era, women were much bolder, they were more sporty, they drove cars etc... much more free and liberated than Victorian women. 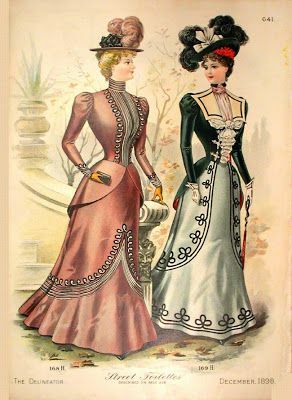 For Edwardian women bustles and corsets were definitely "out" and straighter skirts, even suit jackets, vests and ties for women (for day clothes) were popular, oh and HUGE hats and hair lol. Another difference that's very general is that the Victorian era had more dark colors and was fairly conservative, the Edwardian Era was lighter all around, pastel colors and more progressive with its eye on the future, it was the onset of a new exciting century and all of the amazing inventions were becoming mainstream and were giving people more leisure time (it's why it was called "the Edwardian Summer"). 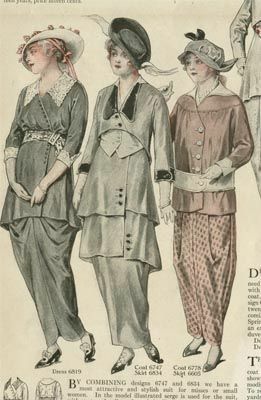 The Titanic was during the Edwardian Era so if you've looked at the clothing and hair in that movie that might be helpful. 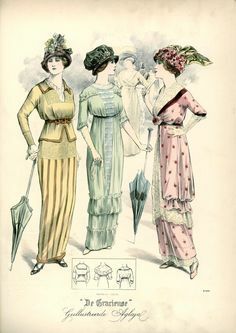 Thank you so much, I REALLY appreciate that you are considering an Edwardian or Victorian line of clothing and hair! P.S. 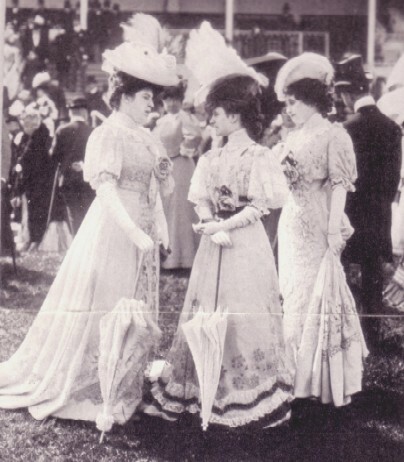 The Edwardian Era started with high waistlines like the Victorians losing the bustles and ended with almost no waistlines like flappers but before the skirts got short. ure such an isnpiration,how u write about it!!!! Between 1900-1908 there wasn't to much of a change. They still had a tiny bussel, a bit of a train and the pigeon blouse. 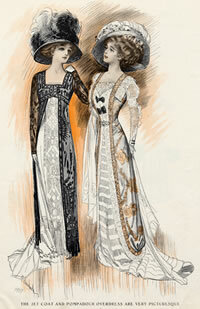 From 1908 - 1910 is when they had the straight flapper type dress. 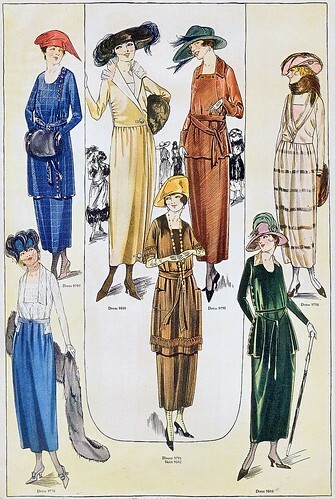 In 1914 they started shortening the dress above the ankle. I have a picture that shows, but I don't know how to get the picture url. Chris, I can't wait to see what you come up with! Hi Zippidy, Great observation! The don't let you upload a photo to this forum, it has to already be online and you can copy the url, highlight it with your mouse then click the "link" icon above where you type. I would love to see the picture you have. Thank you for telling me how to load. Here is the pic. My personal preference is Gayazo because you simple move your mouse over the image left click and drag to highlight what you need and it instantly shows you the picture and a link to it. I often use this inworld and at work to highlight things on my screen. The professional version lets you save the images and do category sorts.